Timoney Tiles and Bathroom Suites is a local, well established business at 62 Mill Street, in the heart of Enniskillen. We are Fermanagh's largest tile importer and the leading supplier of luxury tiles imported from the finest Spanish and Italian factories. Our range includes Marble, Porcelain, Mosaic, Granite and natural stone offered in all shades and sizes. To accompany our large range of tiles we also stock a comprehensive range of sealants and other applicators. For your one stop shop for tiling we have it all at Timoney Tiles and Bathroom Suites. We are one of the leading suppliers of luxury bathrooms in Fermanagh with comprehensive ranges that include Heritage, Villeroy and Boch, Twyford, Image Merlyn, Mira. 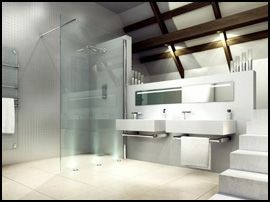 Our 10,000ft square showroom features the very latest bathrooms in fully tiled settings. We have over 50 beautiful displays which represent the very best bathroom brands, in real-life sized rooms, to show off the amazing products we offer. We have working whirlpool baths for you to see, as well as a dedicated area for showers and shower enclosures, including bespoke. The showroom incorporates all sizes of washbasins, displayed with a wide variety of furniture finishes to suit your taste. 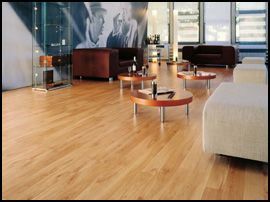 On display in-store is a fantastic range of solid, semi-solid, engineered and laminate floors offered in an array of finishes at a price to suit all budgets and tastes. Also in-store is our stove village comprising our ranges of wood and multi-fuel stoves and fireplaces. Stoves are offered from leading manufacturers to include Mulberry, Pevex, Gallery, to name just a few. Our website will give you a good insight to the types of products we have available, but it is only a small slice of what we have to offer. The only way to fully appreciate what we can do is to come and pay us a visit. What you can’t tell from our website, is our service, we operate from a small team of very well trained and dedicated staff , with our skill and expertise, coupled with a level of customer care which is rarely found these days, we are ready to help you! We look forward to welcoming you soon. Call us on the number above or send us an email using the form on our Contact Us page.